We specialize in distinctive, unique woodwork projects, the quality of which is unsurpassed and which has satisfied our clientele for over a decade. We are also known for taking on projects with very tight schedules without sacrificing quality. We have completed an array of assignments not only in the New York area but also in Puerto Rico, Florida and Boston, ranging from private residences to stores, corporate offices, schools, hospitals and banks, as well as freestanding units sold in designer showrooms. PHAW works with the very best architects, designers and general contractors and we have excellent relationships with a number of top-shelf professionals. Should you need a referral, we can recommend an architectural design team of the highest caliber in New York City and elsewhere and provide you with contact information. As true woodworkers, we can create anything in your wildest imagination. 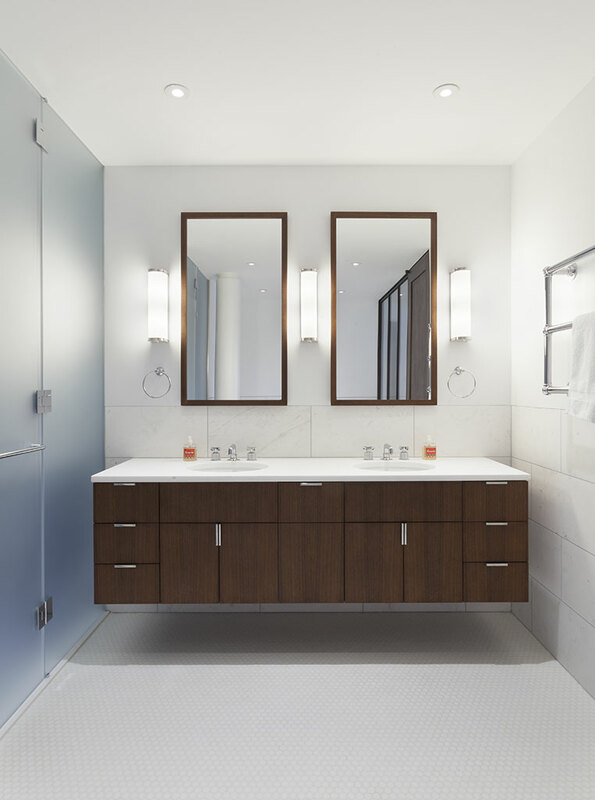 Wood aside, we can utilize complimentary materials utilizing glass, metal, plastic, or solid surface items. With a wealth of knowledge and experience in a vast array of wood species, materials and techniques, anything - and EVERYTHING - is possible. PH Architectural Woodworks keeps a heightened interested in sourcing FSC certified and sustainable materials. We continually focus on all aspects of manufacturing to reduce our environmental footprint. We further strive to adopt cutting-edge technology - from introducing laser measuring tools in the field to reduce margins of error, to the office - we fully integrated a digital platform utilizing cloud-based iPad software in both the office, and the field.